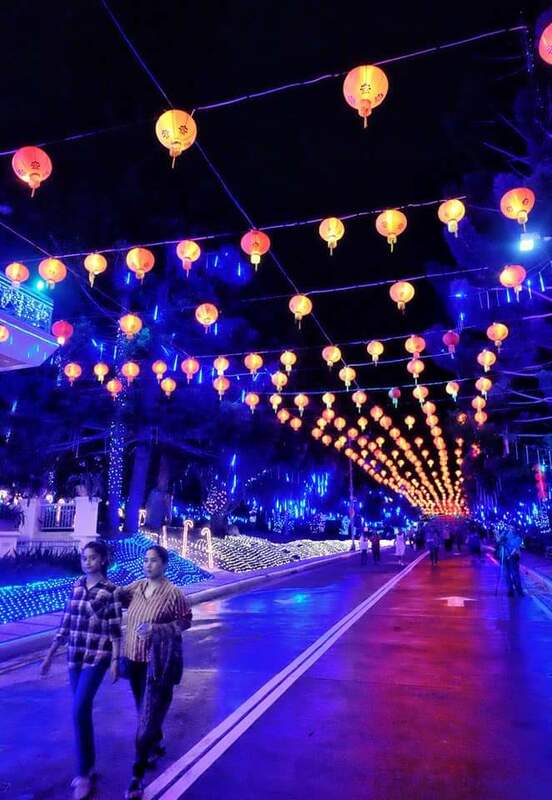 After the success of the Christmas Village at the Prayer Mountain in Tamayong, Calinan, perhaps the city’s most visited Christmas destination, reopened its doors last February 1 to signal the celebration of the Chinese New Year or Spring Festival. A lion dance kicks off the parade. “Many Filipino-Chinese guests who visited the Christmas Village asked me personally if we have something in store for the Chinese New Year. Actually, even before they asked me, we already have something in mind,” said Pastor Apollo Quiboloy, founder and leader of the Kingdom of Jesus Christ, The Name Above Every Name church during a brief chat with the local media during the launch of the festivities in what they now call as The Villages. 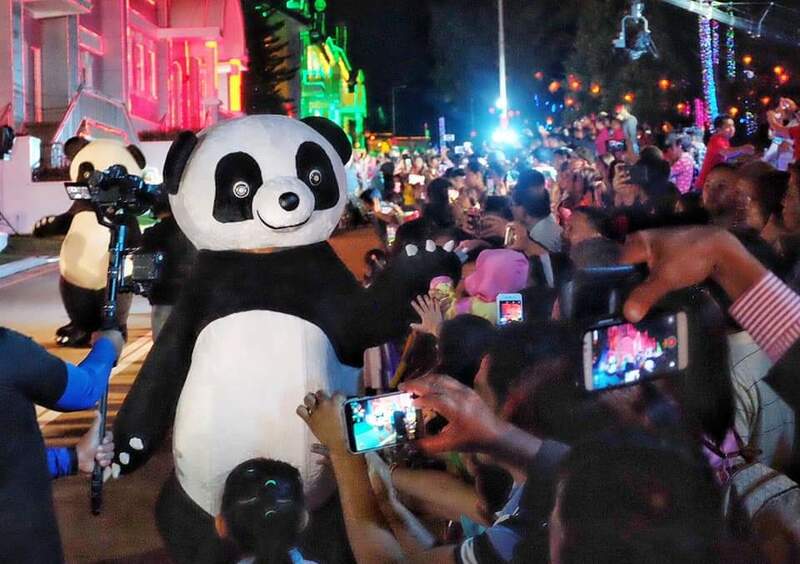 A Panda mascot mingles with the crowd .While they are still gathering the numbers, the Christmas Village, held from Nov. 15, 2018 to January 15, 2019, attracted 2,000 to 2,500 visitors nightly, peaking at 4,900 visitors last December 24 and 25. 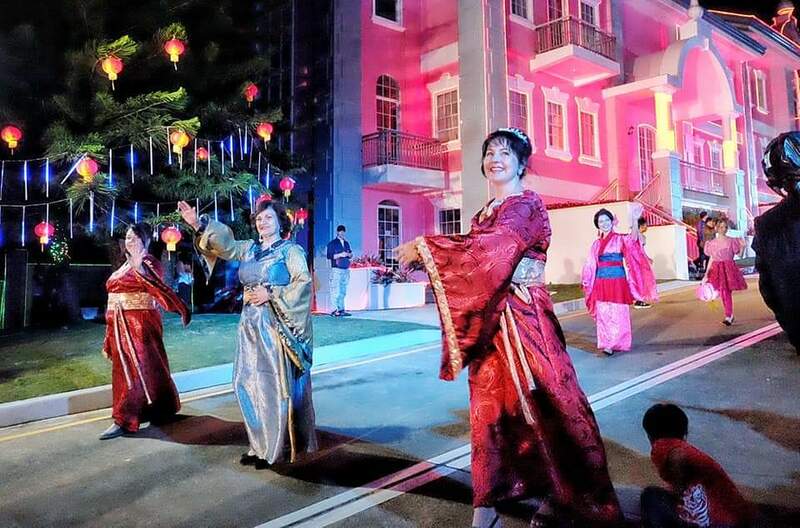 Quiboloy disclosed that they planned to pattern their take of the Spring Festival similar to those in Hong Kong and Singapore. 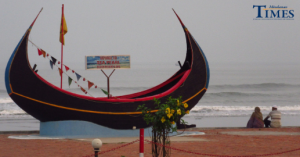 “We want to honor the Chinese culture. This is also a continuation of sort of our own Christian Christmas celebration,” he shared. 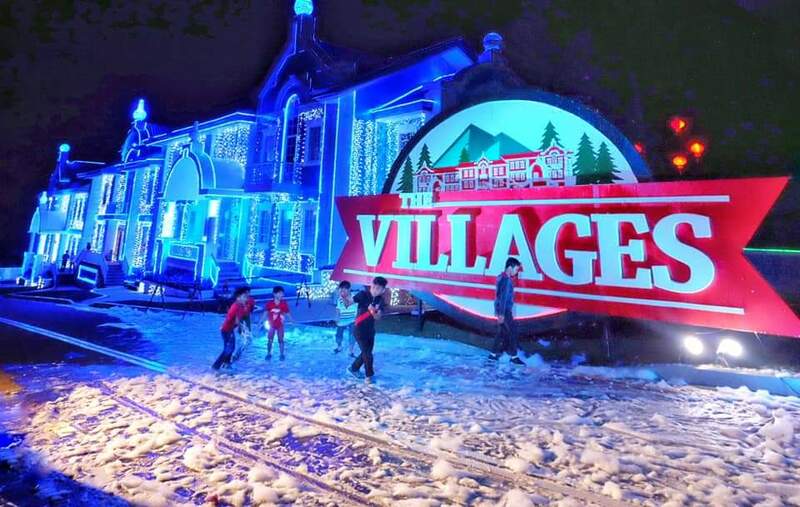 Yes, there’s (artificial) snow in Tamayong! He also disclosed that this is just the beginning of what will become an annual activity. 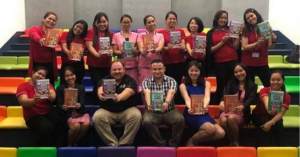 “For the rest of the year, we plan to come up with something for Flores de Mayo, Kadayawan, and the likes, leading to Christmas, as well as our very own International Children’s Day,” he added. 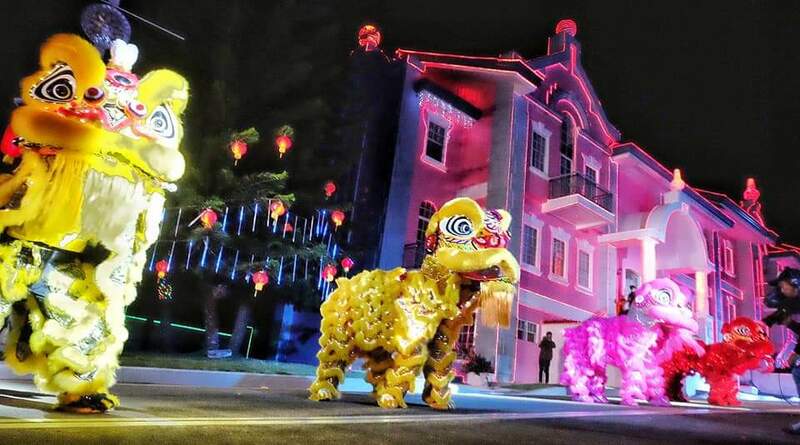 The Chinese New Year celebration will feature a Lion Dance Performance, a Chinese New Year Parade with new characters based on Chinese culture, a new 3D Mapping Show, lighted lanterns, among many others, every night. The park is lit up with Chinese lanterns. Quiboloy also updated the media regarding the stadium that their congregation is constructing along Carlos P. Garcia Avenue near the Francisco Bangoy International Airport. The stadium, at 70,000 seating capacity, is slated to open in 2 years. They are putting up the roof in April this year. When it opens, it will become the biggest indoor stadium in Asia. The parade celebrates China’s colorful culture.